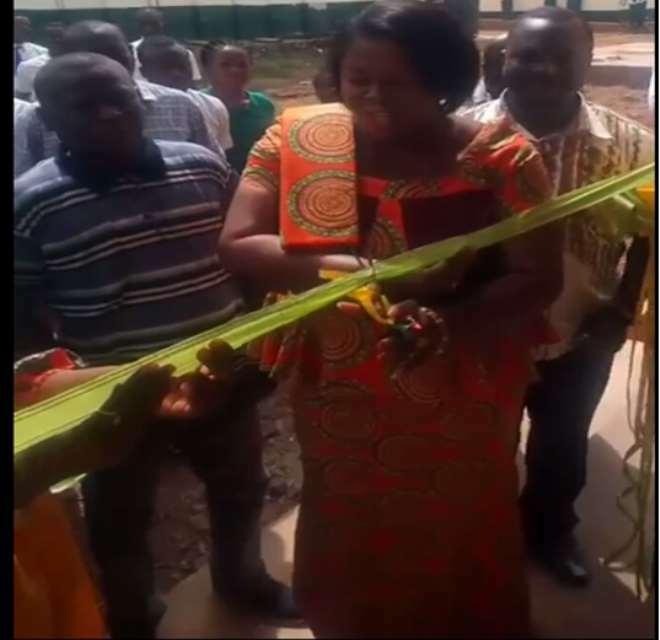 Madam Evelyn Ama Kumi-Richardson, the Municipal Chief Executive (MCE) for Sunyani in the Brong Ahafo Region have commissioned a six (6) Unit classroom block for Sunyani Nursing and Midwifery Training School in a short ceremony at the school premises. She said the construction of the new classroom for the school form part of measures put in place by her administration to beef up infrastructure in the school to improving teaching and learning. The facility which have boosted the school infrastructure in terms of classrooms, to enable authority introduce new courses, was funded by the GETFund at the cost of Gh430, 016.95. The MCE appealed to the school authority to ensure good culture of maintenance for the new classroom block so that it can last longer. 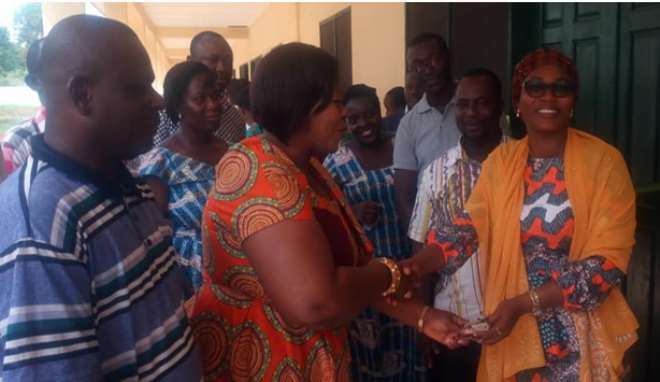 The Vice Principal of the Sunyani Nursing and Midwifery Training School, Madam Aisha Sena-Iddrisu on behalf of the authority of the school expressed her heartfelt gratitude to the MCE and the Assembly for reducing the infrastructural deficit of the school. She promised they will put the facility into good use and ensure good culture of maintenance. The students could not hide their joy for the facility as their leader heaped praises for the MCE through vote of thanks.